MoveMe provides three-dimensional haptic support for playing a musical instrument. The system guides a user’s hands as if someone else was holding hands to help a beginner play a musical instrument. With the system, an expert can pre-record his/her movements so that a beginner can play it back later as necessary. 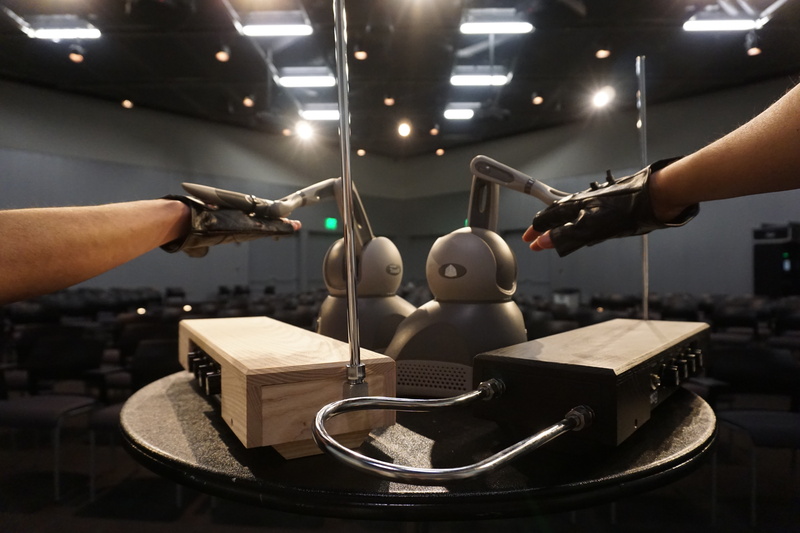 Alternatively, the system connects an expert and a beginner via two haptic robots and the expert can, in real time, guide, correct the beginner’s movement.